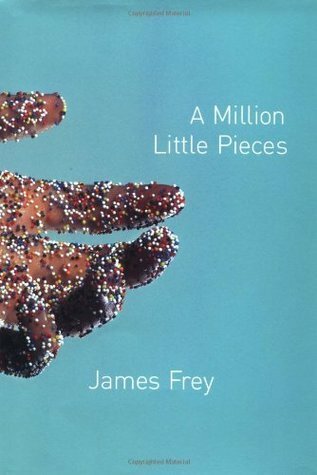 A Million Little Pieces by James Frey. What first attracted me to this book was that the author shares a name with my dad, and the book is about drug addiction, which my dad was going through. Notice a pattern in the types of books I read yet? Ha. This book breaks my heart because my dad and I read it together. I would read part and send him questions (he lived on the other side of the country), and he would read the same part and respond. I learned so much about him through this book. I sent him my first copy of it, with all the dog eared pages and highlighted passages, and when he passed it was all I wanted of his. I don’t know if I’ll ever be able to read it again. I first read Into the Wild by Jon Krakauer in high school—again, for a book report. We were required to read it over a four-week period. I read it in two days, because I took the book home with me. 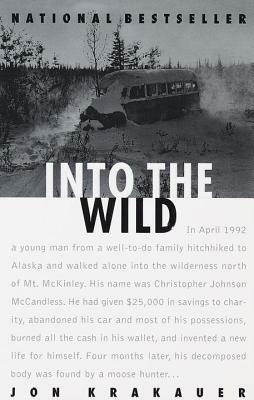 I was simultaneously fascinated and horrified by Chris McCandless’ story. Fascinated that he could have the courage to simply leave his lifestyle and venture into the wilderness of Alaska. Horrified that he died in such a slow, terrible way. I love Krakauer’s writing style—he has a way of pulling me in and giving me a view of the world he’s painted. It is non-fiction, and reads like a very long magazine feature.